Knollwood, built by Major Robert Reynolds and his sister, Rebecca, in the late 1840sEarly businesses in the Bearden area catered to travellers along the Kingston Road, and included early 19th-century inns operated by Thomas Hudibergh and John Gamble. In 1838, Knoxville businessmen Marcus De Lafayette Bearden (1799—1854) and Gideon Hazen established a paper mill along Third Creek in the Middlebrook area. This mill, the namesake of Papermill Drive, operated until 1886, when its milldam failed. In 1817, an Irish immigrant named John Reynolds purchased what is now Bearden Hill from Knoxville founder James White. Reynolds's son, Major Robert Reynolds, inherited the property and built a house, Knollwood, that still stands atop the hill, overlooking Kingston Pike (his sister oversaw its construction, as he was away fighting in the Mexican-American War at the time). During the Civil War, Knollwood served as the headquarters of Confederate general James Longstreet while he planned his assault on Knoxville. Bearden's namesake, Marcus De Lafayette Bearden (1830–1885), was a Union officer, Mayor of Knoxville, and state legislator who owned a farm in the community along Weisbarger Road. He was a cousin of the older Bearden (the paper mill founder). In 1888, while serving in the state legislature, he managed to secure funding for the Eastern State Hospital (now Lakeshore Mental Health Institute) on Lyons View Pike, which provided a major economic boost to the community. In 1900, Bearden remained a largely rural community concentrated around a railroad depot, a post office, a gristmill, and two stores. Within a few years, more businesses began to appear, due mainly to Kingston Pike's location along two cross-country tourism routes, the Dixie Highway and the Lee Highway. In the late-1920s, Knoxville's first motel, Edd's Tourist Camp, opened in Bearden.In subsequent years, dozens of filling stations, motels and restaurants sprang up catering to the Dixie-Lee Highway tourist traffic. The Bearden area is home to over 30 shopping centers, covering over three million square feet of floor space. Along with West Town Mall, major centers include Homberg Place, Bearden Center, Knox Plaza, Papermill Plaza, and the Centre at Deane Hill. Most of these shopping centers have one or two large anchor stores flanked by various smaller stores. The Bearden area is also home to several dozen office buildings with over 1,500,000 square feet (140,000 m2) of office space. 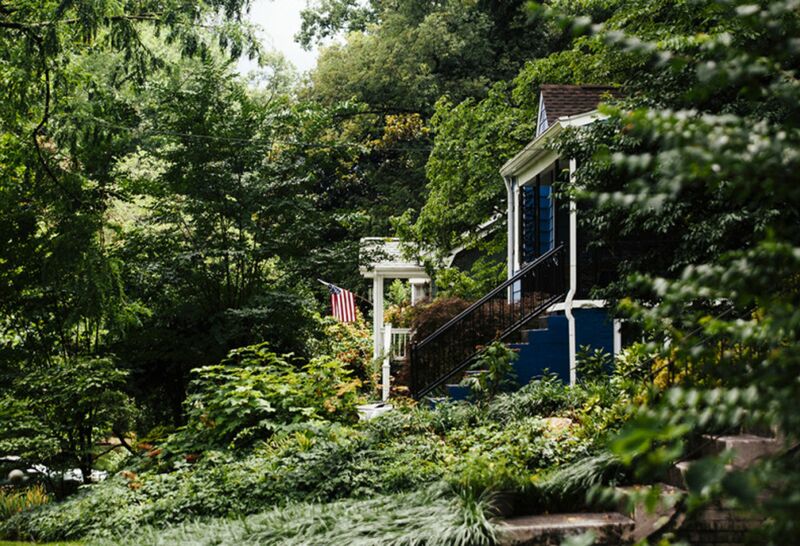 In recent years, Knoxville and the Bearden community have taken steps to create a more pedestrian-friendly "village" atmosphere, mainly through the construction of greenways and sidewalks, and the revision of zoning laws to allow a mix of residential, commercial, and office uses. Bearden area of Knoxville houses the areas top retail and top restaurants. 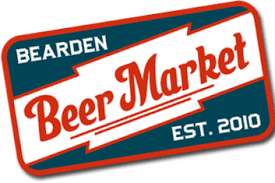 As a test market for eateries, Bearden is host to the countries largest grouping of corporate sign companies and food industry related distribution. Boosting the area real estate is a top rated school system, private parks and lake front communities and several retirement home options. Bearden is host to the only five diamond ward winning eatery in the area, named, The Orangery. What is now Bearden began as a small community that developed around a fortified house, which was probably located somewhere near the modern junction of Kingston Pike and Northshore Drive.This community was initially known as "Erin," presumably after the large number of Irish settlers that inhabited the area. During the late-18th century, the Bearden area was one of the more hostile areas in Knox County. The area's earliest settler, James Miller, was allegedly murdered shortly after his arrival in the early 1790s. In September 1793, near the end of the Cherokee–American wars, a large Chickamauga Cherokee and Creek contingent attacked and destroyed Cavet's Station, which stood near Bearden, and massacred 12 of the station's 13 inhabitants. Even after Native American hostilities had ceased, the Bearden area remained a dangerous place. In the early 1800s, the stretch of the Kingston Road west of Bearden had been nicknamed "Murderers' Hollow." Updated: 25th April, 2019 8:46 AM.